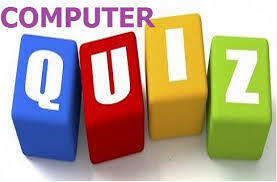 Dear Readers, we are presenting Computer Quiz for IBPS Clerk Mains, India Post, NIACL. Computer section play important role in scoring. 2). What is an icon? 4). Which tab is not available on left panel when you open a presentation? 5). Who is known as the founder of IBM Company? 7). ______ means to enlarge a window to its maximum area so that it will full entire desktop. 10). What program runs first after computer is booted and loading GUI?